Wouldn't it be great if you could equip your school and yourself to face whatever the future might throw at you! Schools face myriad calls on their time and creativity yet have finite internal resources to respond to them. This can result in piecemeal changes, and reactive rather than pro-active approaches. This book reduces, filters and prioritises the demands on staff energy to the central task of all schools - to achieve the best engagement of and learning outcomes for all learners (including the staff themselves). Schools often feel constrained by their current context, their previous performance, their demographics or available staff. 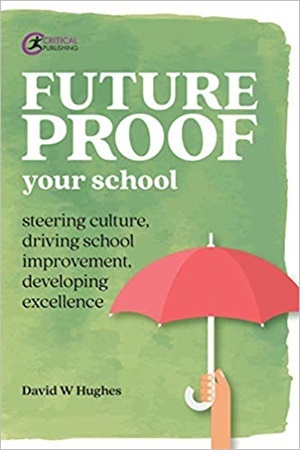 This book provides an holistic and effective approach to change management that is simple, engages all stakeholders, is built around the current expertise and culture of the school and, most importantly, is sustainable. It is suitable for headteachers, senior or aspiring leaders, and those driving change through initiatives, but also individual teachers who are interested in effective practice as a route towards personal well-being and professional satisfaction.